The "Year of Zayed,” Row4Ocean's hi-tech ocean rowing boat, has arrived in Dakar, Senegal — ready for the start of the epic 2305nm row across the Atlantic Ocean to Paramaribo, Suriname. The four man team consists of leader Patrick Bol, Andrew Ruinoff, Lewis Knollman, and Matt Wilds. They will be attempting to break four world records, including crossing the Atlantic Ocean in 27 days or less, while collecting water samples to raise awareness of the massive amounts of plastic in our oceans. 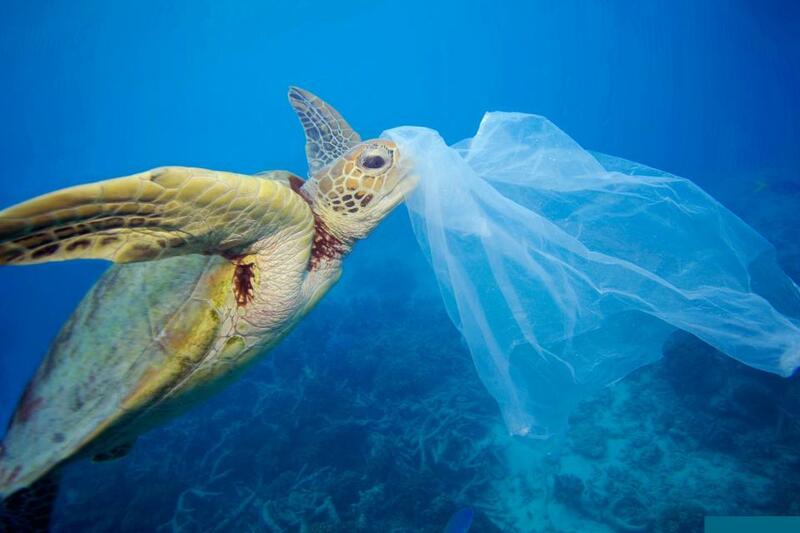 An estimated eight billion kilos of plastic are dumped into the ocean every year. That’s a staggering 22,000,000 kilos of plastic every day — 900,000 kilos of plastic per hour. Over the course of time, the sun breaks this plastic down into micro plastics. Fish and other marine life consume this plastic, which stays in their digestive systems and eventually makes it into the human food chain. The problem will be with us for generations. “Year of Zayed” is the fastest ocean rowing boat ever built. At 39.5 ft long, 23 ft wide and weighing nearly 1500 kg, “Year of Zayed” is made out of carbon fiber and nomex. She is equipped with the latest technology including, Xtra link tracking devices that submit a position every 4 hours. Weather routing is sponsored by StormGeo, who will advise on the best possible window and routing through ocean currents. The team has been monitoring the weather patterns for weeks, and the Trade Winds have been well established for the last ten days. If the weather holds out, it will make for ideal conditions. Sea trials will commence Monday, December 10, with the team officially setting off on Friday, December 14. "We've come together from various backgrounds, we're competitive, we're passionate, and we're committed to making a difference," says Patrick. If we want to do something about it, the time is now; not tomorrow. That's what Patrick Bol (DP World Director of Global Operations) aims to do. "We need more people like Patrick who are brave enough to change the world and create awareness on issues that affect us all," says DP World Group Chairman and CEO Sultan Ahmed bin Sulayem. 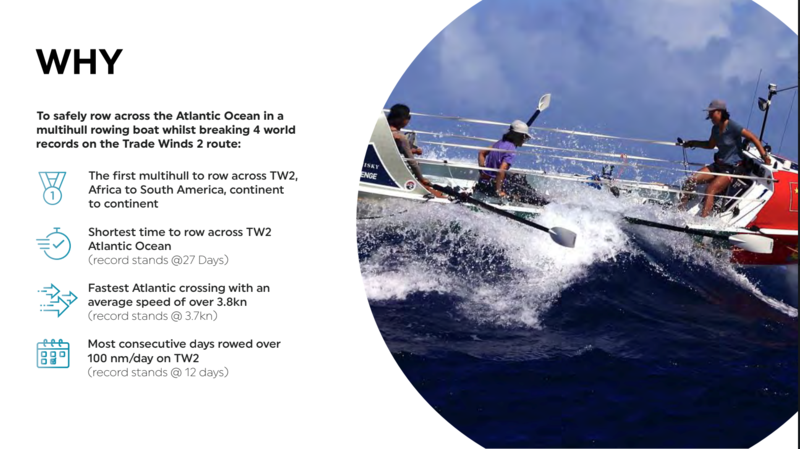 Alongside the fastest crossing, other goals are to become the first multi-hull vessel to row across the Trade Winds 2 route (the African continent to the South American continent), achieve the fastest crossing in a rowing boat with an average speed over 3.7 knots, and complete the most consecutive days rowed over 100 nautical miles a day. During their journey, Patrick and his team will take turns to row 24 hours a day, collecting water samples to track key pockets of pollution across the Atlantic and add to the oceans' pollution knowledge bank.